Wondering how to get started in the latest Star Wars game? Here's how! 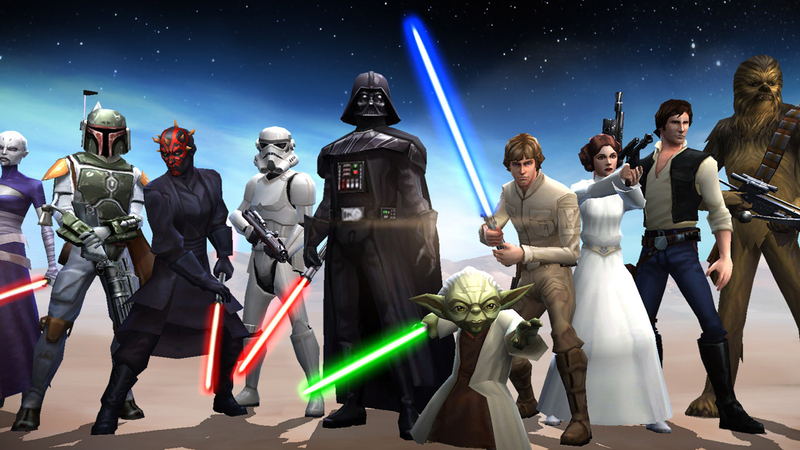 We've been waiting to play Star Wars: Galaxy of Heroes for some time now, and now that it's available on the App Store we figured you might need some tips and tricks on how to get you acclimated to the game and blasting through so you can collect your favorite stars and really run with them. Are you ready to blow your competition out of the water? Get started with our tip guide below. Just because you don't want to spend money on Star Wars: Galaxy of Heroes, that doesn't mean you can't use the F2P landscape to your advantage. You'll get several items in the earlier parts of the game that you can use to unlock additional characters and more. In fact, you get a low-level data card every 15-20 minutes that can be used to upgrade the characters you have or add new ones to the fold. You don't need to do anything to get these special items except play the game, so it's worth collecting them since the game's giving them to you, after all. Combined with the other items the game will flat-out give you for free, don't waste them because the tutorial told you you should, or use experience items on characters you don't plan on using very much in the future. Spend these items wisely and stockpile what you can. You'll be glad that you did. This is really something you should be doing on any of your F2P games, but it's especially important when it comes to Galaxy of Heroes. You should be completing each daily quest, challenge, and Squad Arena Battles each day for all of the items you can farm. You can also get free Data Cards as mentioned earlier. There are a dozen or so daily activities you can do each day and multitask with so you can end up earning a whole lot more than if you had just attacked the game with individual quests here and there. You don't have to have the best cards out there or even the best characters to do well in Galaxy of Heroes. You can, in fact, have an awesome team of characters with little to no work. One of the most important parts of doing this is saddling your heroes with their own gear. Ensuring all six gear slots are full will promote your gear level, and you'll just absorb the stats entirely. That leaves you open for additional item slots in the future and you'll be able to continue doing this over and over for even more incredible stat boosts.